A LIVE BROADCAST // Official Crowdfunding Video from Louis Holder on Vimeo. In Early March, we released our Official Crowdfunding Video for A Live Broadcast. With the close aid of Director Mario A.L and Director of Photography Cezar Tatarau we conceptualised a unique and tantalising video which gives a level of synchronous insight and ambiguity to our project. We hope you can support us on Indiegogo. Click on the button below to find out more about our project. Post-Production on A Live Broadcast is due to commence in Mid-May 2018. Distribution for A Live Broadcast is due to commence on 1st June 2018; aiming for the National & International Festival Circuit this Autumn (2018) with a prospect to release the film online in Spring 2019. Sparks: Federico Belloli, Ross Dixon, Ben Holt, Art Assistants: Ruoyu Ren, Lukas White, Opening Titles Animator: Tanya A. Petkova, Closing Titles Animator: Cai Beschorner, Assistant Editor: Olivia Ay, Re-Recording Mixer: Aidan McCarthy, Surround Sound Re-Recording Mixer: Jane Lo, Original Music By: Ralf Hildenbeutel, Chris Köbke, Digital Intermediate: Hasan Matar, Third Assistant Director: Greta Spohrer. Running Time: 10 minutes approx. 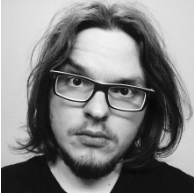 Mario Antonio Liptaj (Director) is a Second Year Film student at University of Westminster. Previously he has directed acclaimed short art film ‘Snowbud’ in his home country of Slovakia. Recently he was Script Supervisor on Bennet Held’s ‘Uber Alles’ and Jasmine Atufe’s ‘The Post Room’. Peter Willoughby is a London-Based Actor of Stage & Screen known for Lost Diagnosis, Pride, Prejudice and Zombies, Fury and Royal Murder Mysteries. Whilst Acting is Peter's full time commitment, he also plays Guitar and Vocals professionally. Darcey James is an Actress from London who has performed on Stage & Screen in numerous roles. James graduated with a BA (Hons) Drama & English Literature from The University of Manchester, and is an alumnus of National Youth Theatre and The Actors Class. David is an Actor and Director of Photography. In a string of unique careers over the past 40 years, David has portrayed many characters and worked for different international aid agencies filming promotional videos and documentaries. He has performed at RADA and is a graduate of The Poor School. Eva is an Actress who has featured in several feature films and shorts. She was in Tinker Tailor Soldier Spy, Paradise Place, Narcissists and has recently featured in Shockheaded Peter and The Flight of Iro and Casper. She went to Drama Studio London. Jessica is an Actress who studies Performing Arts at Reigate College. Since graduating, she had roles in touring theatre productions 'Damsels in Distress' and 'Passing-Out Parade' in Surrey. She has also featured in Kingsman: The Golden Circle and in Justice League.